Communication – is it key? Communication is easier now than it has ever been. Whenever we need to get in touch with somebody, we can call, e-mail, or text, regardless of where we are and where they are. Geography isn’t an issue; we can instantly send a message to somebody halfway around the world. Some people even text each other while they are in the same house – just because they don’t want to get up and go to another room. Without much effort, we are almost always “connected” if we want to be. But have you thought about what we may be losing when we depend more on electronic contact and less on face-to-face communication? When we’re with others, we understand them much better. We can read facial expressions, pick up on emotional responses, and communicate our own feelings very clearly. The results is more interaction, more depth, and more substance. 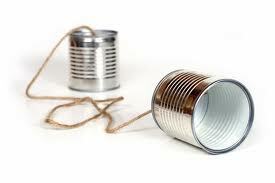 The communication tools available to us today are wonderful. It’s great to be able to get in touch with people anywhere, anytime, and I wouldn’t want to go back to being unable to contact someone easily when I’m out of town or need a quick response on an urgent matter. I like being able to keep in touch with my family regardless of where they are. But when we start to depend on technology as a substitute for one-one-one time with each other, we are missing an important key to relationships. In forming virtual bonds, we may be forsaking the benefits of true human interaction. We need to make sure we are not so connected with everything out there that we miss the chance to connect with the people directly in front of us. Being connected means thinking of others and reaching out. Make that happen as often as you can. Each person, and or leader, is different and has different methodologies and view points. One of the key components or attributes I have found in leadership is communication and having an open communication with other team members and business units. When was the last time you had effective communication in a meeting? When was the last time you had effective communication about an idea with a team member? Let’s take it a step further, when was the last time you had an open dialogue with your team? Building confidence and building a team takes a strong and discipline element composed of communication. Don’t settle for the status quo; become an exceptional leader and/or an exceptional Data Professional. Be the game changer and motivator your team needs today. This entry was posted in Encouragement, SQL Server, SQLServerPedia Syndication and tagged #Adversity, SQLServer by Chris Yates. Bookmark the permalink.